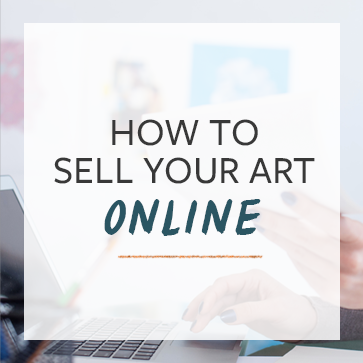 When I wrote the How to get Quick Wins Online post, it was intended to be a short run down of what I consider one of the easiest ways to get started selling art online. Since I wrote that post, I’ve had a number of people email me with their own suggestions, as well as many more people ask me for other free ways to sell art online. Here’s my list of freebies. It took me about 30 minutes to put this list together and throw the links in there – I’m sure you can come up with a bunch more on your own! Leave your own ideas in the comments! See our guide to email marketing for artists. So what else do you have? What other ways have you marketed your art for free? I’ll add some good ones to this list with a link to what you do. Be very careful with Fine Art America. Their customer service is rubbish, they refuse to help over the phone insisting that you need to contact them via email, but then take over a week to reply even after sending multiple emails. They’re also not too good with paying the artists consistently and on time. I was locked out of my account even though I didn’t change my password, and after ten days of frantically emailing, calling, and requesting a new password to login, I had to contact the Better Business Bureau and an attorney to finally get a hold of their direct number so I could regain access to my account and immediately close it of course. Do a web search on them and you will see that I’m not the only person who experienced this, far from it. I have several artist friends who had problems with them as well. Deal with them with caution! same bad experience with FAA. even though the product might be good when everything works out smoothly when there are problems there is absolutely NO way to contact them. I’d also add that submitting to art competitions as a means of joining the art world both locally and online. mandythompson feel the fear and do it anyway! Art Competitions are a great idea. Do you know of any lists of free-to-enter competitions (since this is a list of free stuff)? paintpaintpaint Moo offers free cards. I’ll update accordingly. CoryHuff 🙂 Oh riiiiight FREE opportunities! Well, I’ve been watching A Singular Creation lately, since they keep a running schedule for calls to artists. (http://www.asingularcreation.com/calls-to-artists.php) Some of the competitions are free, actually. You just have to read the descriptors. mandythompson I am an introvert too, and I have started to take some online seminars about building courage because if I truly wish to follow my dreams, I have to get out in the world around me. I do searches for “free art listing” websites at least twice a year. These sites are easy to sign up on and create a profile page. Most will let you add photos of your art and links to your website, facebook, twitter and other social networking sites. A couple of months ago I came across The Palette Pages http://www.thepalettepages.com it’s free to artists. After signing up I was asked to do an interview. For me that was a double bonus. I not only got to link my websites and social media links, I got free advertising through the interview. jadescarlettart I had a similar experience with them. Great list, for me personally the offline method I have neglected for a bit too long and I need to print your list and pin it on my wall! How about write a compelling press release. Not just the who, what, when and where… give them a story with pix. It has worked for me. Also, use your phone and make a compelling informative video…post it on your social networks. Always remember to ask yourself what is in it for the viewer…. There are plenty of on-line art competitions like “artist of the year” things, e.g. “Portrait Artist of the Year” etc. Join art societies and other art groups. They usually provide exhibitions for their members once or twice a year and other benefits. Membership is fairly inexpensive. As a social media marketer and graphic designer, I would suggest investing some time in learning HOW to use social media and other online tools. I joined my local art community and have a resident studio on their campus. Participation in any local art group is a great way to network, meet fellow artists and share your work. I cannot tell you how many retired folks come to me for tech support, build a website, promote their art – photograph, edit & upload for them – design business cards, banners, brochures, etc.. I’m surrounded by painters who have very little computer know-how. My late-life education is paying off at 54!